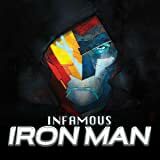 Collecting Infamous Iron Man #1-6. 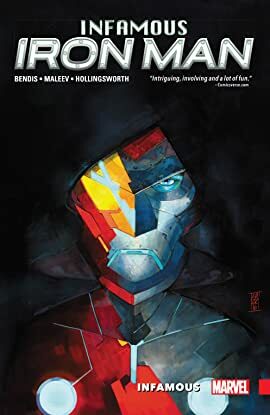 There's a new Iron Man in town, and his name is...Victor Von Doom! The greatest villain of the Marvel Universe is no stranger to armor, but now he's trying something new on for size. And where Tony Stark failed, Doom will succeed. But what is Doom's master plan? As the secrets that propel Victor's new quest as a hero start to reveal themselves, a who's who of heroes and villains start looking for a piece of revenge for Doom's past sins - beginning with bashful, blue-eyed Ben Grimm, the ever-lovin' Thing! Next up at bat is someone from Tony's past who has a big problem with Doom taking on the Iron mantle - but where has Pepper Potts, a.k.a. Rescue, been until now? The saga of Iron Man takes its strangest turn yet!